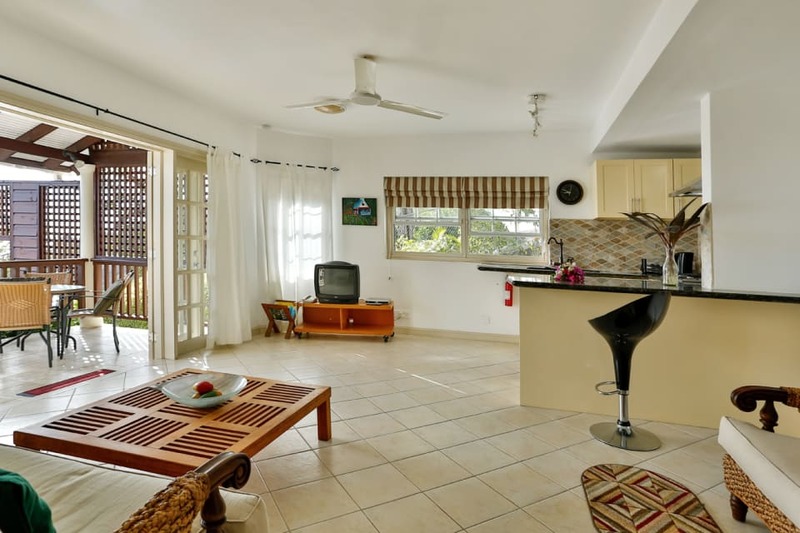 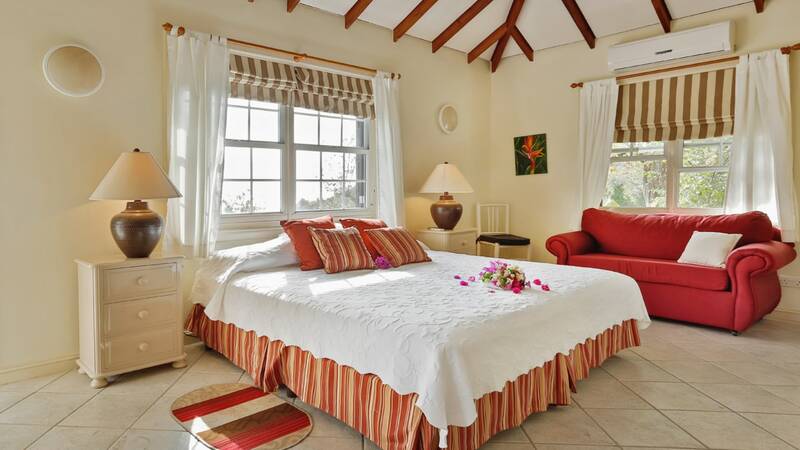 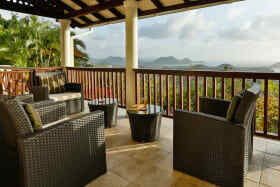 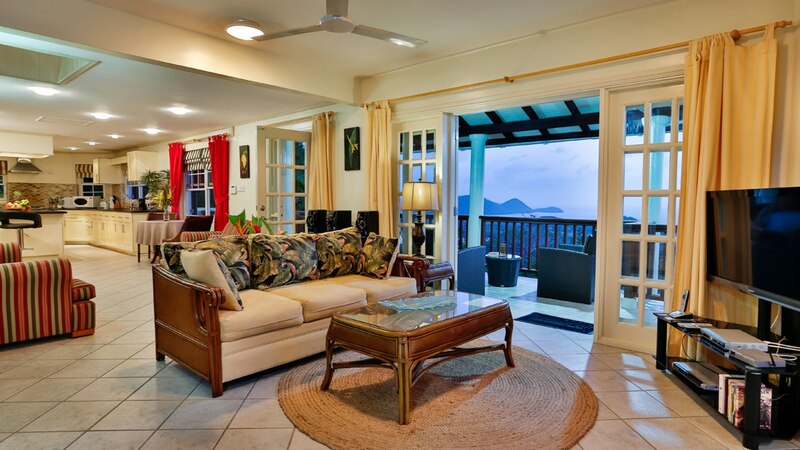 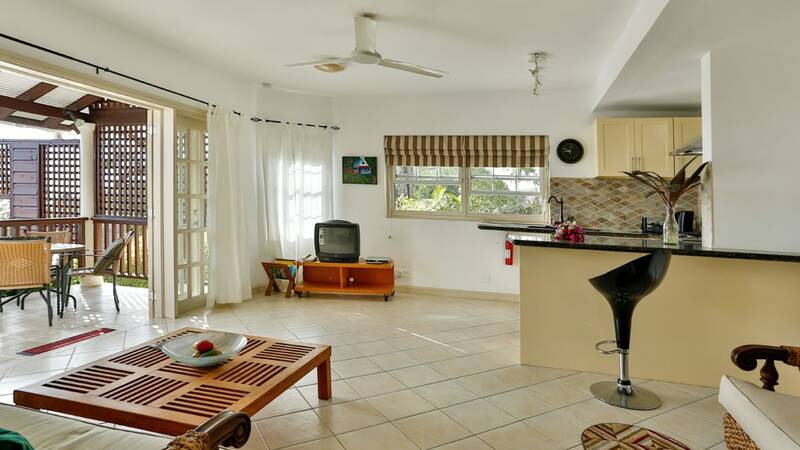 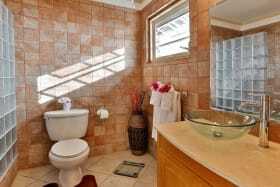 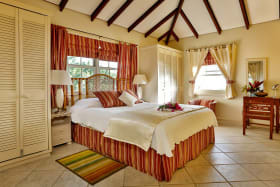 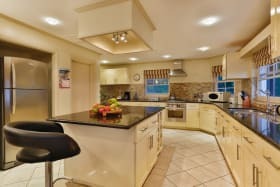 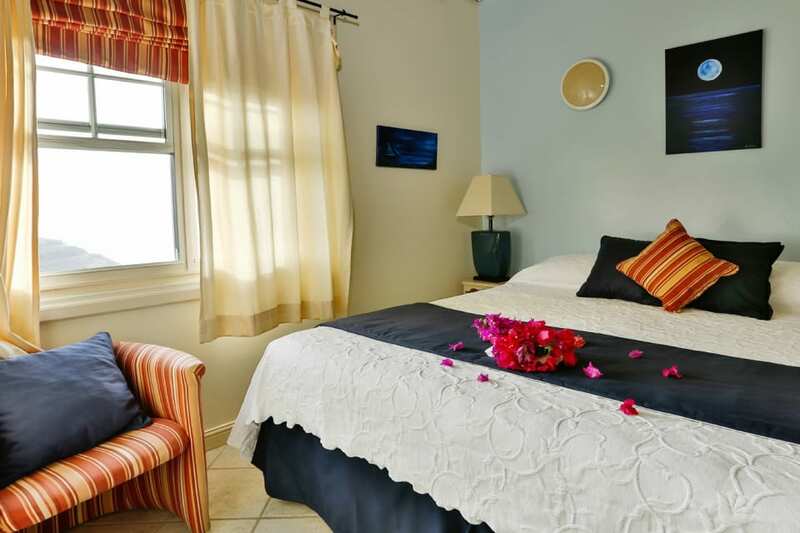 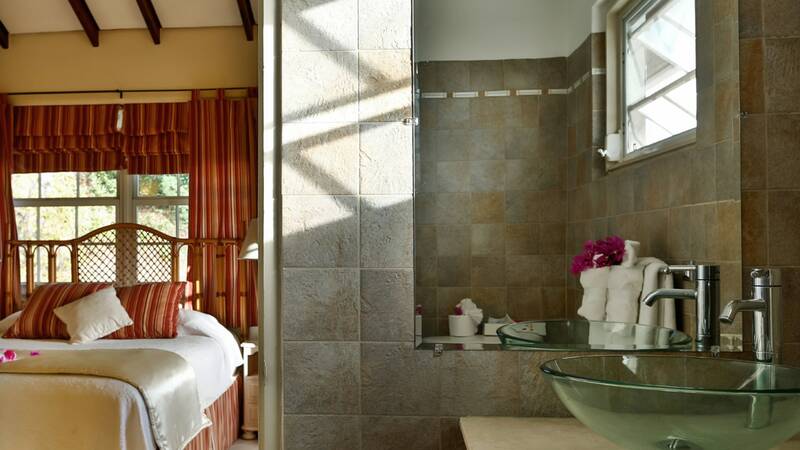 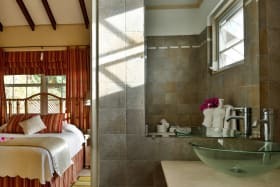 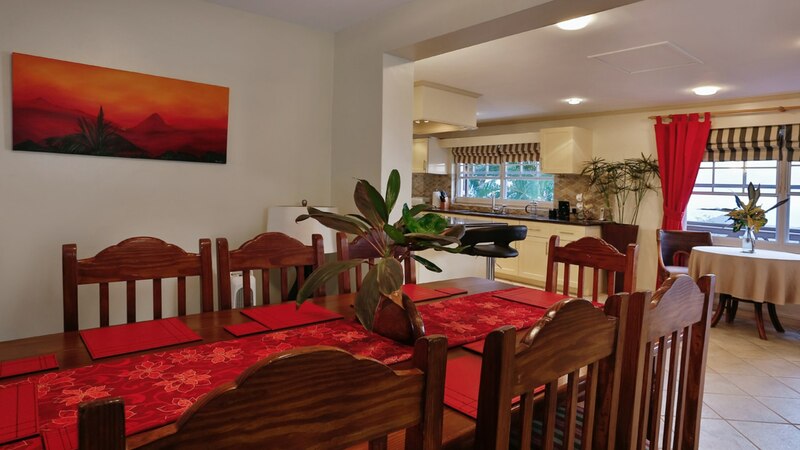 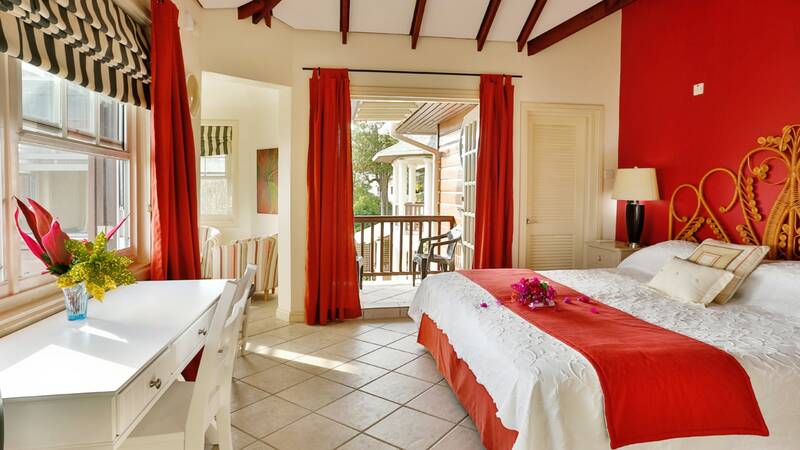 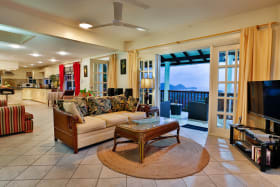 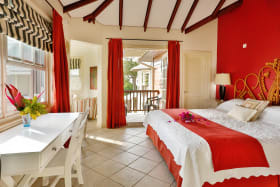 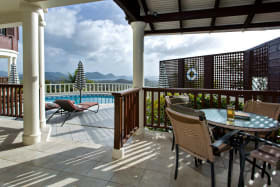 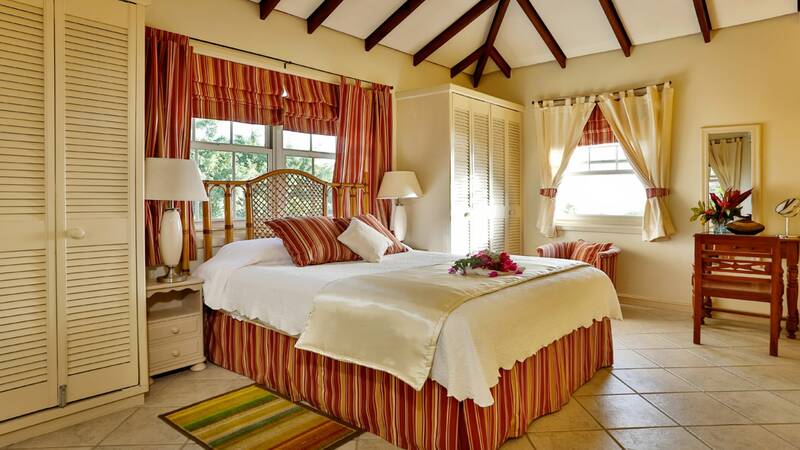 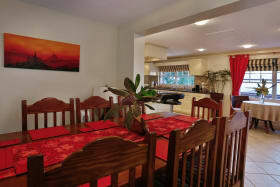 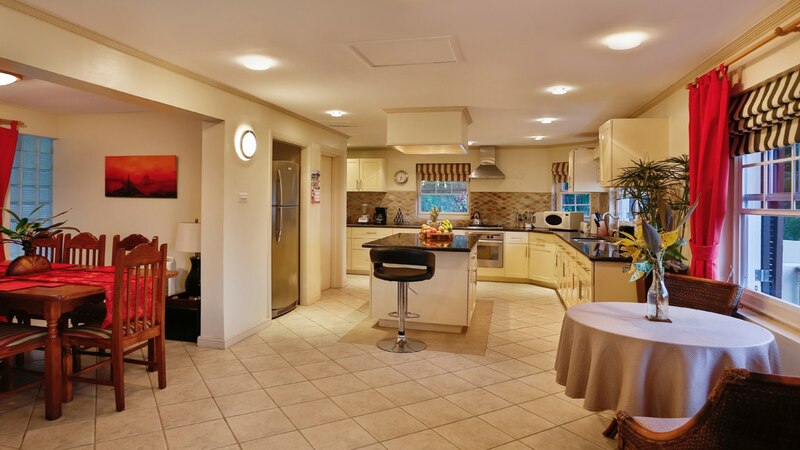 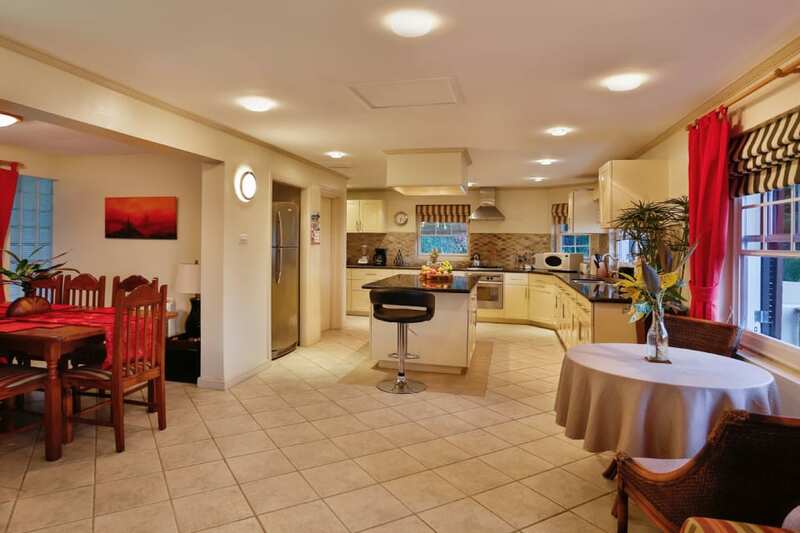 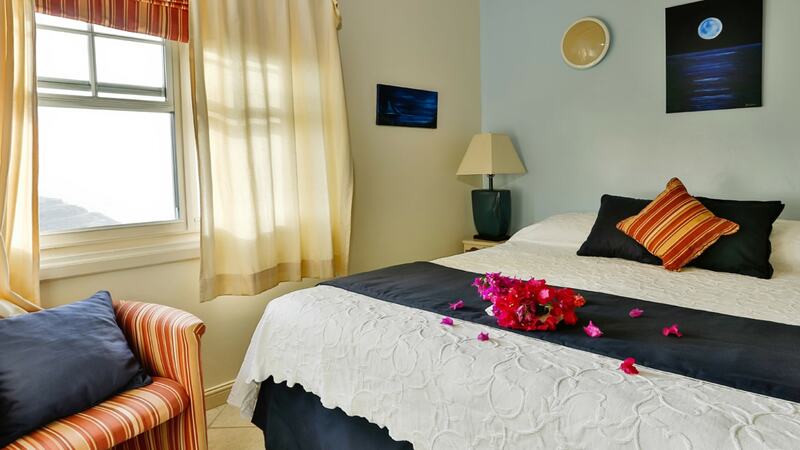 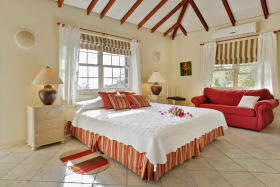 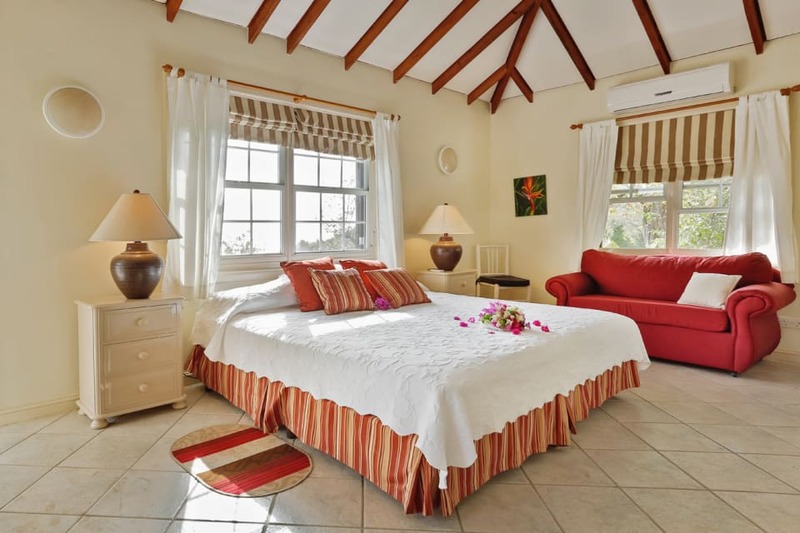 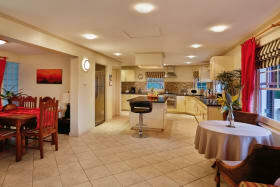 Residence Du Cap is a luxurious, airy villa with tropical flair and bright decor; yet complete with all modern comforts. 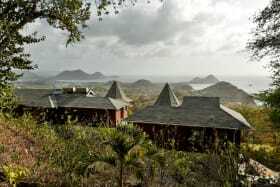 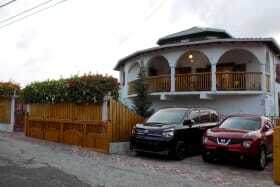 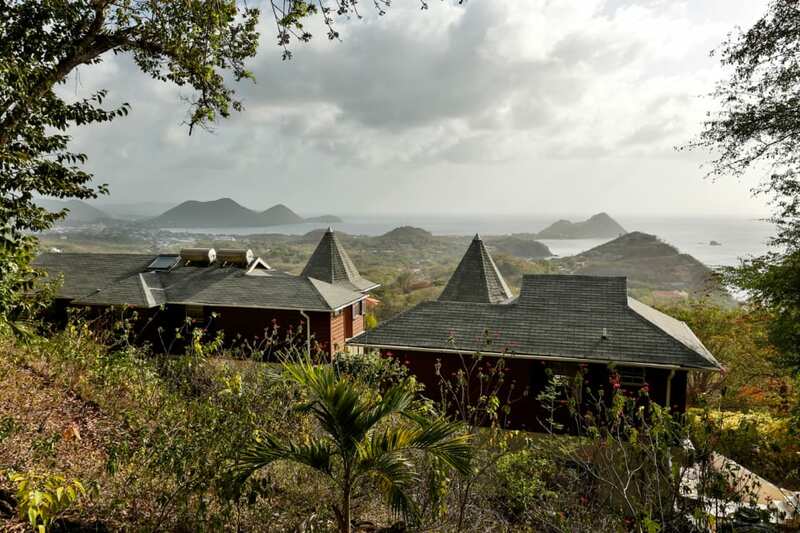 Views of the Caribbean Sea and the historic & world heritage site, Pigeon Island. 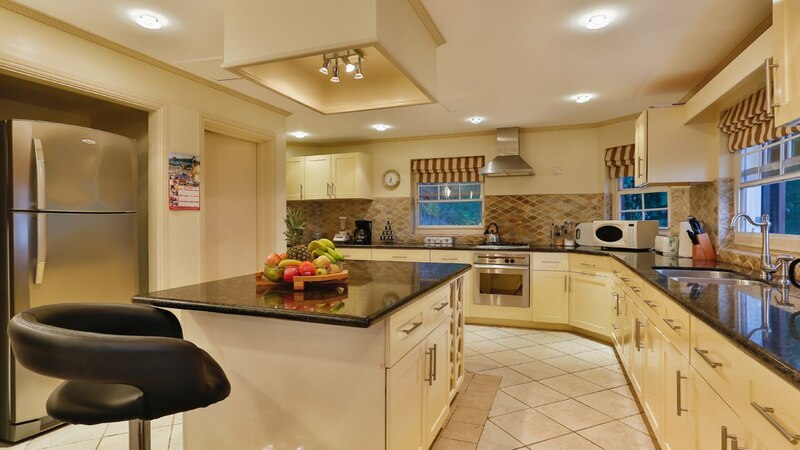 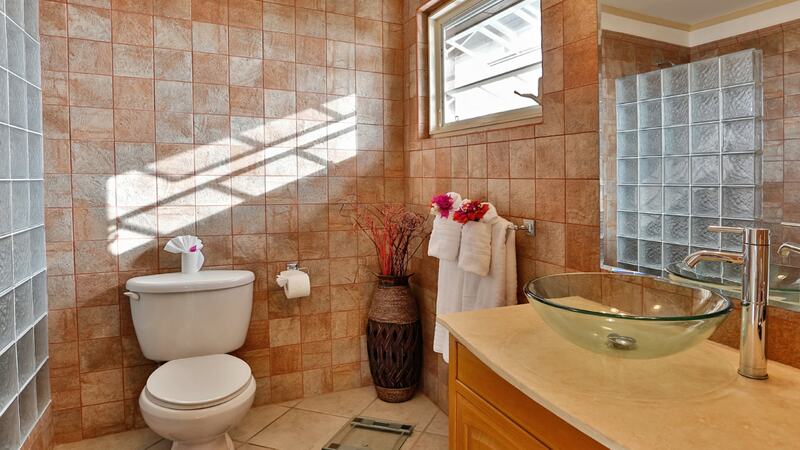 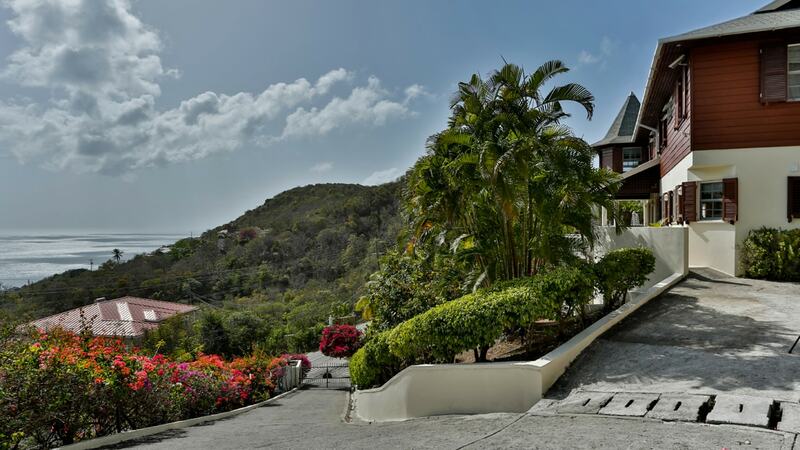 Nestled in the nearby hills of Golf Park, Cap Estate this well-appointed two level home sits in the center of well-kept, secure grounds. 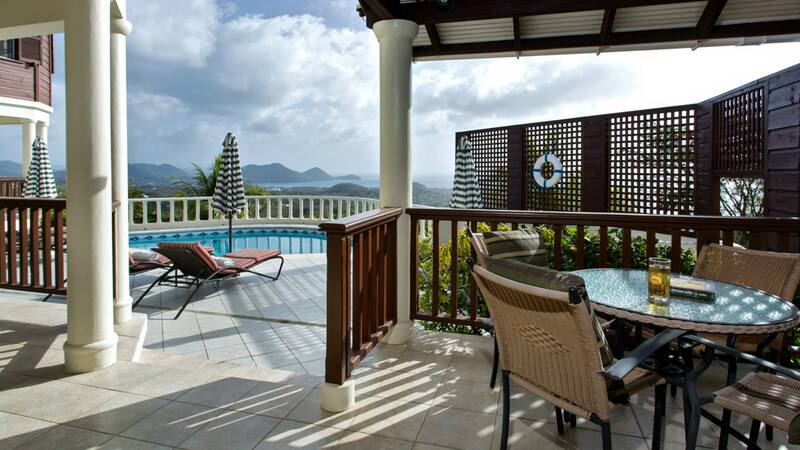 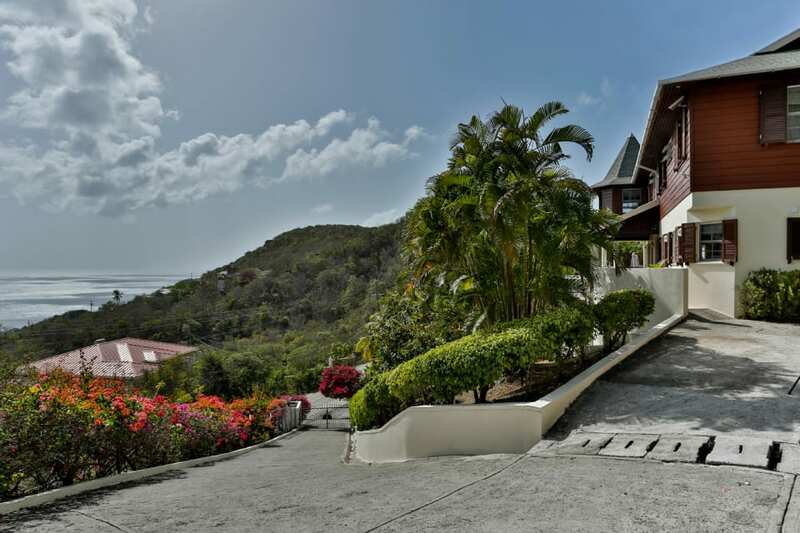 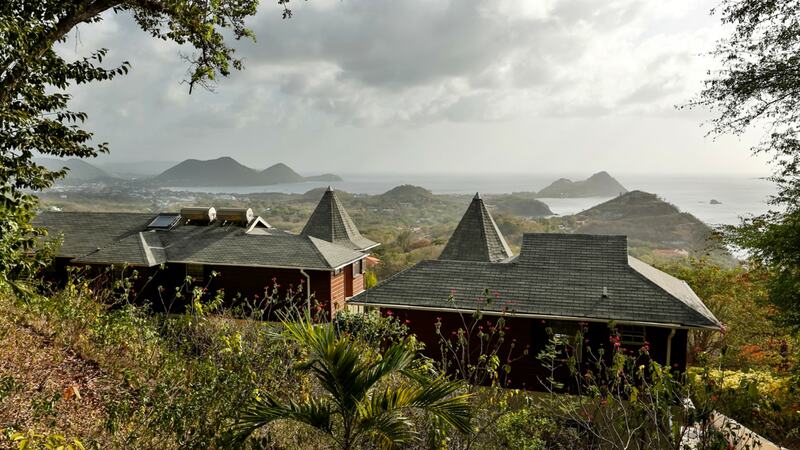 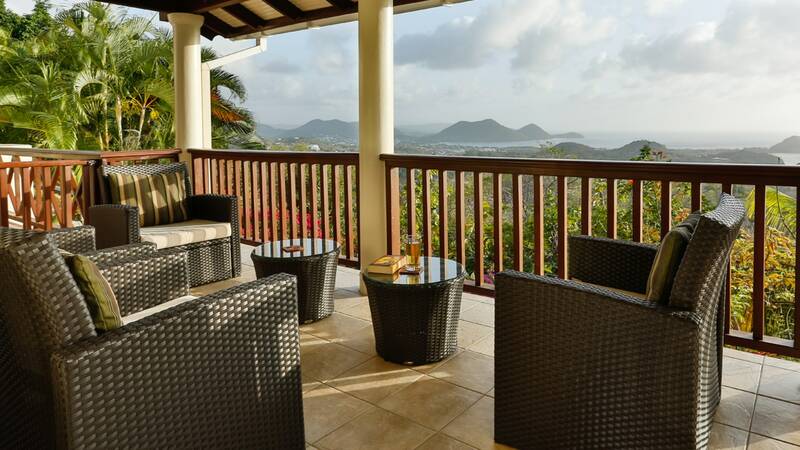 Due to its elevated position, it overlooks lush mountain ranges to the east and south, and has distant Caribbean sea-views to the west with vistas of Pigeon Island. The expansive ground-floor balcony and the pool deck are perfect places to relax, entertain, or simply take in the wide ranging views ahead.